Frequency: The tram runs every 6 – 10 minutes. 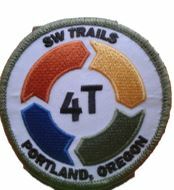 Trail head: Directions to OHSU. Tickets: Downhill is free. It costs $4.70 to ride up. Restrooms: At OHSU at beginning of trip and OSHU Center for Health and Healing at end of trip. Pets: Unless it is a service animal, all pets must be in a carrier. 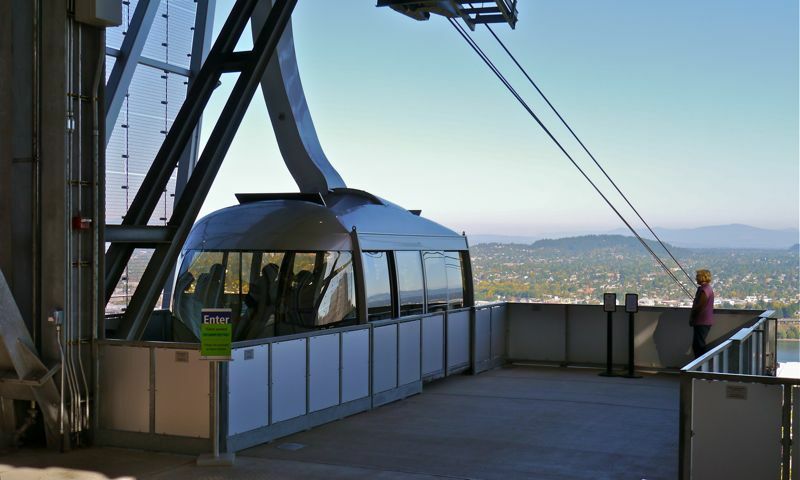 The Portland Aerial Tram segment of the 4T offers a birds eye view of neighborhoods, the Willamette River, Tilikum Crossing Bridge, Ross Island, and Cascade peaks as it glides over the Lair Hill neighborhood and I-5 during the three-minute descent. The drop in elevation is 500 feet. Tram cabins travel 3,300 linear feet at 22-miles-per-hour. The final bit of the tram ride is over the Darlene Hovde Gibbs Street pedestrian bridge. To reach the tram, enter the Kohler Building of OSHU from Gibbs street. There is no reason to be leery of the hospital environment since you will not be going through an area that has patients. 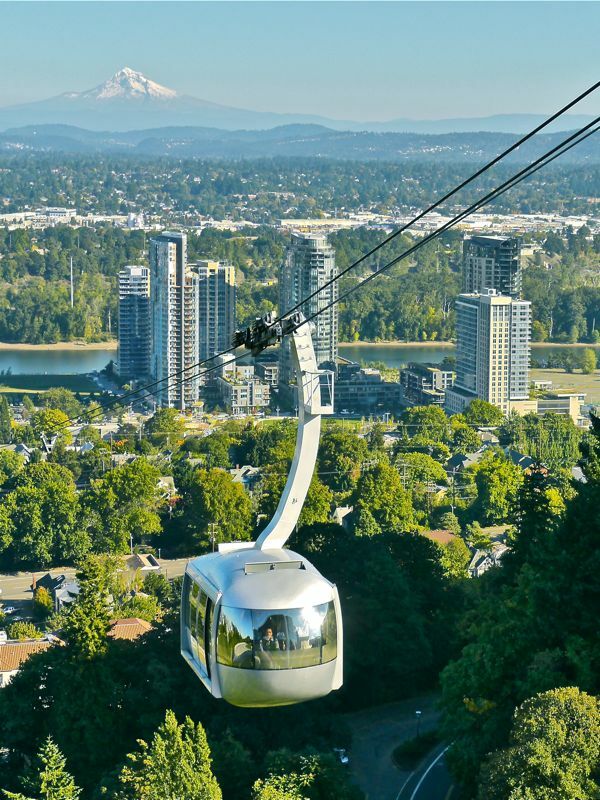 There is no charge for riding the Tram down to the South Waterfront. Before getting on the tram you might want to go out on the balcony. On a nice day you get a nice panoramic view. Why, you might ask, does the tram sometimes not run? Sometimes it is the weather; you don’t want to ride in the tram in a high wind. Sometimes it is OHSU; they have at times decided it isn’t worthwhile running the tram on Sundays in the winter (Labor Day to the middle of May). On weekends you might want to check the tram website for the schedule. If the tram is not operating, return to the Trimet bus stop just outside the building to the west, and take the number 8 bus downtown. For the time that the next bus is due, text 5028 to 27299. Alternatively you can backtrack to SW 9th & Gibbs and retrace your steps down to the interpretive center at the base of the Marquam Park. From there you can follow the Sam Jackson Parkway into Town and catch the Trolley at PSU. At the present time there is not a safe way to walk directly to the Waterfront. Nearby is the Tilikum Crossing Bridge which is dedicated to walkers, bikers, the streetcar and the train. Cars are not allowed. You can view the Willamette River from middle of this bridge by walking a block north of the Tram station. The South Waterfront neighborhood is much different from most of Portland with its high rise dwellings. The city is currently extending the South Waterfront Greenway into this area with the goal of having a riverside walk south from here to Willamette Park and the new Sellwood bridge and north to the Tom McCall Waterfront Park. The Trolley stop is across the tracks from the lower Tram station. When you depart the Tram, you’ll walk across the trolley tracks and to the left. 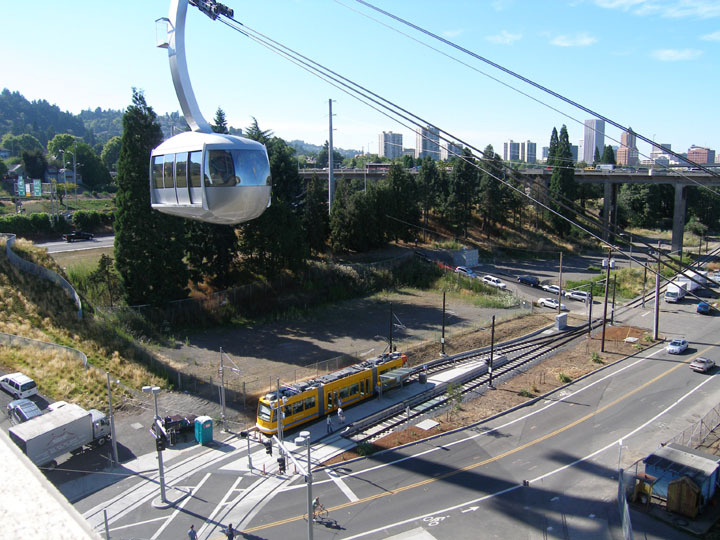 The nearest streetcar station is on the east side of the OHSU building – next to the lower Tram station. 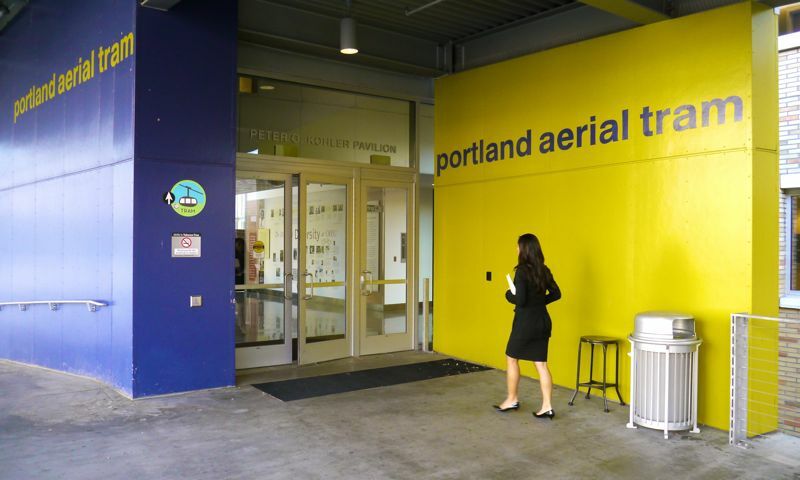 The next leg of the 4T is to take the Portland Streetcar (trolley) from the South Waterfront to Downtown Portland.